The Museum is set on a 45 acre site in the heart of the Chilterns. We are home to a working historic farm we have both open pasture, three ponds and native woodlands to offer our visitors. We have many programs to help you engage with the outdoors: you can use your senses to explore our Museum through our Sensory Trail and fully engage with our hidden spaces by following our Orienteering Course. Our Museum is an ideal space to enjoy a natural environment and learn in a different way at your own pace. If you would prefer to engage in led programmes we have several to offer. We regularly work with uniformed organisations, youth groups, Young Archaeologist Club and others. 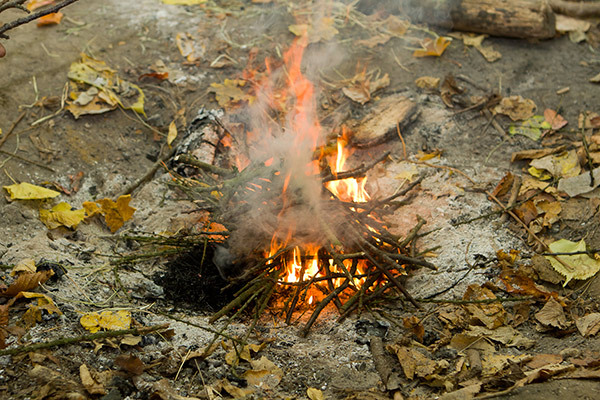 We offer specific, Bushcraft programmes and Family Bushcraft Experience Days. In 2019, we are running a specific programme for uniformed organisations and during the month of March will allow overnight camping. Our programmes allow you to develop specific knowledge and skills in an exciting but relaxed manner. If you would prefer something more formal but outdoor, then we invite you to browse through possible activities from our award winning schools programme.